Info Education: Overbrook High School, Temple University, B.S. ; Temple University School of Law, J.D. Alan Butkovitz was born and raised in Philadelphia, he is a graduate of Overbrook High School, Temple University and Temple University School of Law. He lives with his wife Theresa and their two children Rachel and Edward in Northeast Philadelphia. 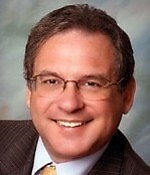 Alan Butkovitz was first elected Philadelphia City Controller in 2005. Prior to that, he served 15 years in the Pennsylvania House of Representatives where he acquired a reputation for hard work, independence and innovative solutions to pressing problems. 05/21/2019 Mayor of Philadelphia - D Primary ?? ?